The LOV-11A-7A consists of the G-Shock GA-110LA-7A(left) & Baby-G BGA-132LA-7B(right). The LOV-11B-1B consists of the G-Shock G-302LA-1B(left) & Baby-G BGA-106LA-1B(right). 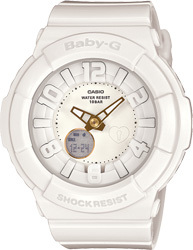 Introducing the G-SHOCK/Baby-G PRESENTS LOVER'S COLLECTION his-and-hers pair models for 2011. Both the black and the white models come in paired sets, two watches in a single package. 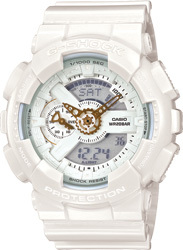 The key to your lover's heart rides on the hour hand of G-SHOCK model of the white pair, while turning on the black light LED of the white Baby-G causes the image of a keyhole to appear on the face. 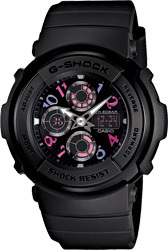 With the black models, the G-SHOCK features berry color hour markers and an hour hand in the form of an arrow. 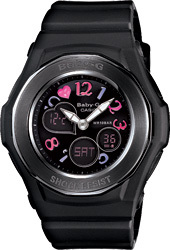 The black Baby-G has a heart at 11 o'clock, which is formed in a way that gives it an attractive, multi-dimensional look. 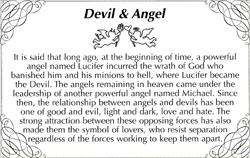 The back covers of all of the watches are engraved with the distinctive logo.